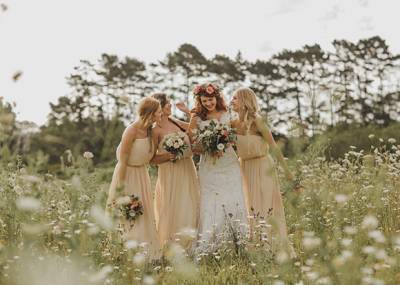 We're big fans of JESSICA SIM PHOTOGRAPHY around here; she has a magical way of capturing weddings, and Farris & Charles wedding really does look like a modern day fairy tale. 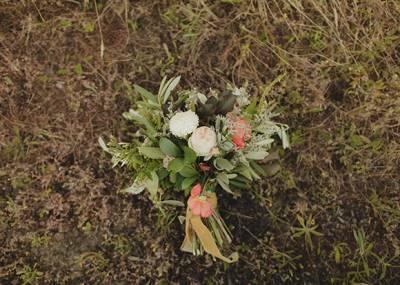 With some �to die for' florals by one of our favourites LEAF & HONEY, their KUMEU VALLEY ESTATE that featured in Issue 6 of MAGNOLIA ROUGE MAGAZINE was everything they hoped for and more. �Fairy tales come true� is how this gorgeous bride describes her day. As teenagers, Farris tried to set Charles up with her girlfriend who had a crush on him, but quickly realised that she herself was more interested. When it came to their engagement several years later, Charles had to work hard to surprise her, and indeed his thoughtful plan did the trick. Despite being involved in event planning herself, Farris hadn't give her own wedding a whole lot of consideration. 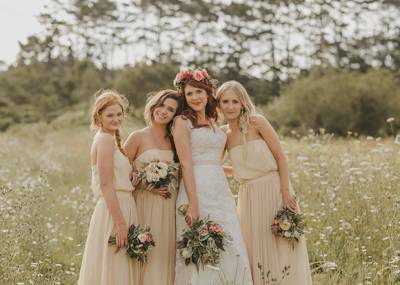 She knew that she wanted both herself and her groom to be well represented so bearing this in mind they went with a rustic theme so they could cater for both masculine and feminine touches. They incorporated a lot of creative and musical elements, including hiring a flash mob choir which surprised all the guests as the bridal party entered the church. �I sourced and made many of the styling components from the final invites to the rustic wooden chandeliers, spending long nights with my husband and bridesmaids organising, creating and tweaking DIY elements. I had so many comments on how people loved the touch of �Charis' it put on our wedding � something money can't buy!